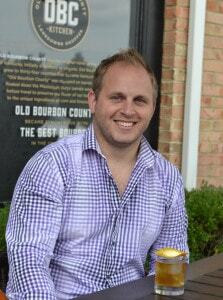 Meet Justin Keating, one of our favorite bartenders at Lexington’s OBC Kitchen. “Old Bourbon County” Kitchen is a local restaurant and bar with an exceptional Bourbon collection – leading them to be named as one of Bourbon Review Magazine’s Top 80 Bourbon Bars in America. Justin may look familiar to some as he was serving up cocktails at our Limited Edition Small Batch Pop-Up Tasting event held at OBC in September. How long have you worked at OBC Kitchen? I’ve been working at OBC Kitchen since day one, so going on two years now. The restaurant opened on December 5, 2014 – the anniversary of the repeal of Prohibition. Where or when did you find your passion to work behind a bar? It started from working in the service industry, where I realized that my place was behind the bar. Having the opportunity to talk to as many people as possible, and not just a few tables throughout the night, is what I enjoy. And what aspect of the job keeps you coming back? Cocktails are a huge thing for me. Developing, exploring and creating fun drinks for people from all walks of life that I am able to meet. What’s your favorite way to drink Four Roses Bourbon? Neat. With a drop of water. How do you choose which Bourbon to use in a cocktail? It really just depends on the cocktail and the customer. If the guest is new to drinking Bourbon, I may consider going with a lower proof Bourbon. But, if you are making a cocktail that needs to be more Bourbon-forward, you’ll want to go with a higher proof – something that can stand up to the flavors of vermouth and bitters. At work, what’s the cocktail you enjoy making the most for your customers? 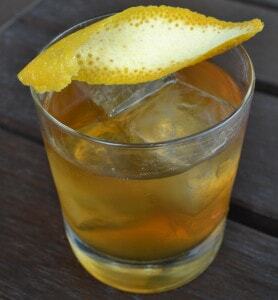 I have two – the Old Fashioned and a smoked cocktail. 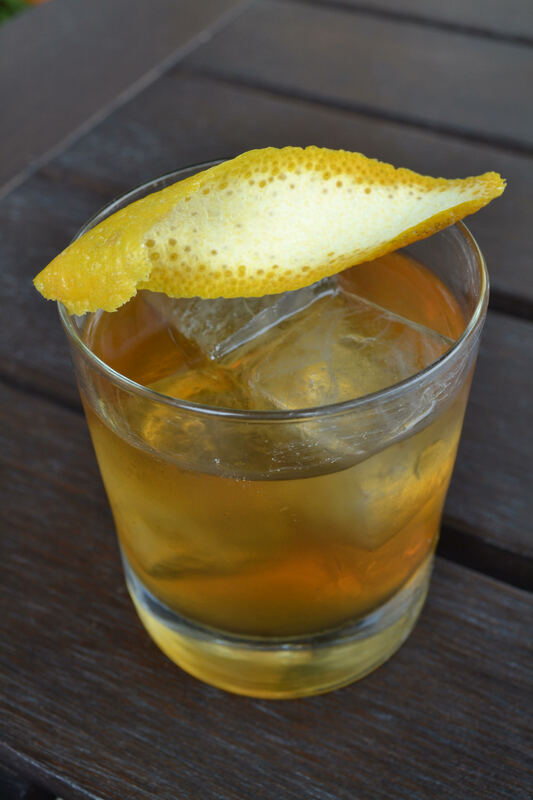 We take a different approach on our Old Fashioned here, which our customers keep coming back for! I like when customers order a smoked cocktail because they are fun and rare. If you could mix a drink for anyone who would it be? After seeing that he attended the Kentucky Bourbon Festival this year, I would have to go with Bill Murray. It would be an honor to make a drink for someone with such a rich history who also enjoys Bourbon. You’re entertaining friends at home. What are you having? I’ll be drinking Bourbon. Probably something simple to make and enjoy since I’m entertaining and not working. What are you making for us today? My take on a Four Roses Old Fashioned—muddled Demerara sugar cube, cherry and orange bitters, 2 oz Four Roses Single and an orange peel garnish.